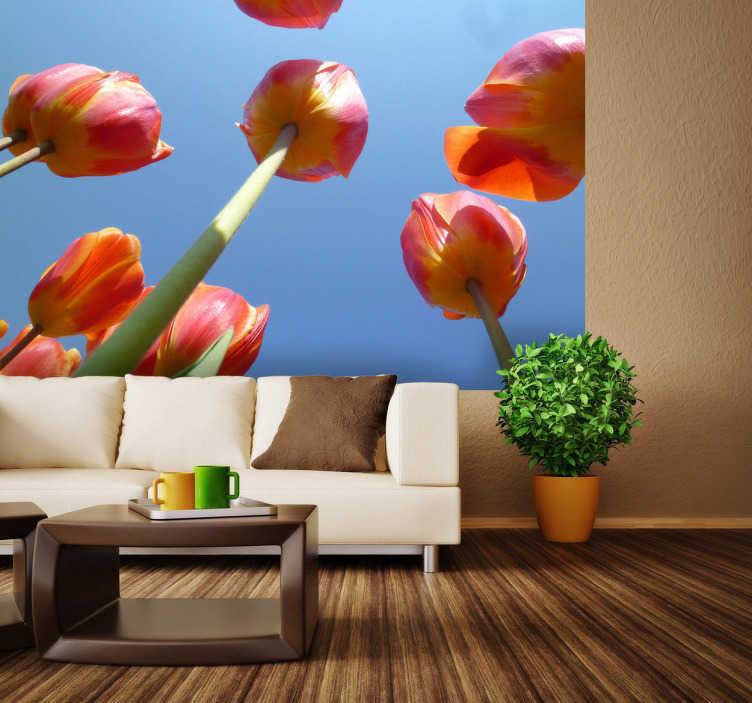 Photo Murals - Shot of tulips into the sky. Elegant feature for the home. Available in various sizes.